In anticipation of her upcoming conference presentation, Which Predictive Model Will Best Help Increase Retention? 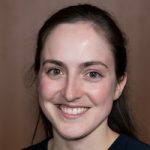 at Predictive Analytics World for Business New York, Oct 29-Nov 2, 2017, we asked Emilie Lavoie-Charland, Research & Innovation Analyst at The Co-operators, a few questions about her work in predictive analytics. A: As I frequently work with our marketing team, I predict the client’s reactions to the actions taken by the agents (those who sell insurance products). These reactions can range from accepting an up-sell (upgrading a product) or a cross-sell (purchasing a new product) to being unsatisfied and wanting to leave the company. I also have the opportunity to work with underwriting teams; on those occasions, I can predict the duration and/or cost of claims. A: We highly encourage our agents to use the predictive insight that we provide, but are fully aware that our predictions have limitations (agents have face to face conversation with our clients while we work face to face with the data). Our work currently supports the agents by providing them prescriptive insights into the possible next best interactions with our clients. My team (Business Intelligence) strives towards the democratization of analytics, and this is where true value can be delivered: when those asking questions can do the predictive analytics and understand the trends. A: The survival retention model, which will be described in my presentation at PAW, identified a 10% of our population with a true-lift of 5.6, meaning that contacting the clients in this segment increased their retention by 5.6 units versus not contacting them. But all other segments developed by the survival retention model had true-lifts near 0. When we switched to a true-lift retention modeling, that will also be presented; we were able to identify 60% of our population where it was worth to make a contact. A: In the univariate analysis of our survival retention model, both the gain and the loss of an insurance product in the past year increased the churn risk of the clients. This was surprising as we had previously observed that the more products a client had, the less likely the client was to churn! In other words, we would have expected that the gain of a product would increase the number of products owned by the clients and therefore decrease the risk of churn. As I want to keep some content for my presentation, you will have more insight into this surprising discovery if you attend! A: It’s easy to build a simple predictive model based on solid statistical theory! 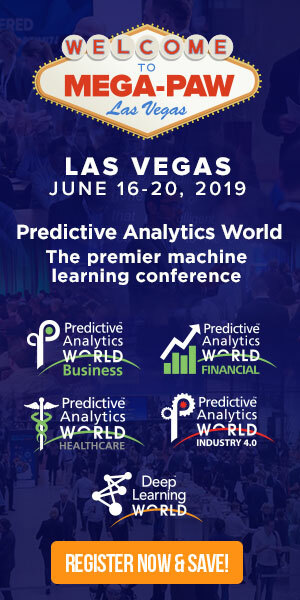 But if you want your predictive analytics to bring value to your organization, you must identify an area where your predictions will be used and make sure that your model is statistically correct as well as performant for the area where it will be used! Don’t miss Emilie’s conference presentation, Which Predictive Model Will Best Help Increase Retention? on Monday, October 30, 2017 from 3:55 to 4:40 pm at Predictive Analytics World New York. Click here to register to attend. Use Code PATIMES for 15% off current prices (excludes workshops).